Forgive me if I sound like a broken record, but remember: I’m just the messenger. Erstwhile low-cost carrier Southwest has once again raised its prices, this time by as much as $10 each way. If it seems like you just read this story last month, well, that’s because you did. 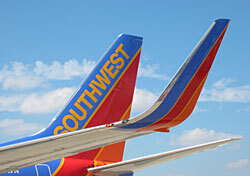 Southwest hiked prices by $3 on short- and medium-haul flights and by $10 on long-haul flights. Don’t be surprised to read a similar story about price increases next month, and the month after, and the month after—because until fuel prices drop, there’s no end in sight for these fare hikes.